If you are ready to beautify your home’s outdoor areas, improve your curb appeal, or add some color to your surroundings, Roots Landscaping can help. Our dedicated team has over 20 years of expertise working in our local beach communities completing projects both large and small. We know the soil, weather conditions, and understand the specific challenges of coastal landscaping. It’s our goal to design and install projects that will thrive in the existing conditions of your home site. This includes careful consideration of your lot, soil, tree covering, and grading. 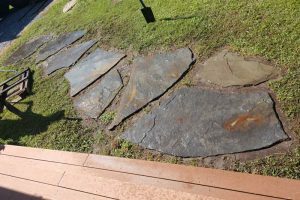 We also identify how involved you are willing to be in the care and maintenance of your landscaping and cater our design to suit your needs, lifestyle and budget. Contact us today to schedule an on-site consultation for your landscaping design and installation or landscaping maintenance project..